Update: This company changed its name to ReadyPoint Health in April 2014, backed by Martin Ventures and others, and focusing on hospital rounding and compliance management SaaS.-Ed. DisastersNet Inc., a Nashville startup marketing to hospitals, today announced a strategic alliance with HealthStream Inc.
As a result of a freshly minted three-year agreement between the two companies, DisastersNet's disaster incident-management and training system (DIMS) will be offered to hospitals and other healthcare customers of HealthStream, for use in real-time incident management and training. DisastersNet CEO Gene Kirby told VNC his company has chosen to focus primarily on marketing to the healthcare industry, at this time, because healthcare funding remains relatively strong; and, because since 2002 hospitals have faced tougher requirements for demonstrating their preparedness for dealing with natural disasters and other incidents. Kirby, 65, said that while the startup as-yet has no paying customers, a second hospital beta-user will soon be operational; and, recent sales and marketing efforts have produced invitations to submit proposals to hospital groups comprising dozens of facilities. Kirby said a local angel investor, whom he declined to identify, recently provided additional capital for DisastersNet. Kirby indicated total investment in DisastersNet since inception is under $2 million, including that latest investment. Asked by VNC for comment on his company's new relationship with DisastersNet, HealthStream Founder and CEO Bobby Frist (at right) responded via a spokesperson, saying, "We look forward to offering the Disaster Incident Management System (DIMS) to our healthcare organization customers and working with DisastersNet as our partner." HealthStream's entering the pact with DisastersNet seems to illustrate the 18-year-old public company (NASDAQ:HSTM) is, as recently reported by VNC, acting to open its business model to content, technology and other allies. HealthStream serves more than 2,400 hospitals through its healthcare learning and research businesses. DisastersNet's DIMS provides what is generally known as a hospital incident command system (HICS), in configurations needed by hospitals of varying missions, sizes and staffing. The technology, systems and multimedia courseware enable hospitals to manage crises and satisfy increasingly stringent staff-training requirements for emergency response. DIMS functions range from activating personnel and messaging, to provision of incident-management plans and other documentation. Kirby stressed that the DIMS platform automates many chores that were previously manual, facilitating cost-tracking, reimbursement and other vital functions. The company says DIMS' design is consistent with standards for the federal incident management system; consequently, customers may be able to secure grants to defray their subscription costs. DisastersNet offers to assist customers with preparing grant applications and related matters. DisastersNet President Chris Riddle, 46, developed the company's core concept nearly three years ago with co-founder Ed Creamer. Both men are on the company's board of directors. Riddle, 46, was previously chief safety officer with St. Thomas Health Services, and served as chairman of parent St. Louis-based Ascension Health System's health safety council, which coordinated safety initiatives for 64 acute-care facilities. Creamer's earlier career was with the U.S. Treasury Department's Secret Service, from which he retired. Riddle explained that his company and HealthStream plan to make interoperable some of their systems, to ensure that customers adopting DIMS can access incident-response courses, employee transcripts and other training documentation, in order to determine quickly competencies achieved by participating healthcare workers. Riddle said DisastersNet will adapt training materials, including scenarios for use in exercises, at no cost to hospitals, in most cases, and the company aims to build a library of disaster- and incident-response content. In addition to Riddle and Creamer, Bill Cook (at right) was in-early with DisastersNet. Cook is a private-equity investor who was earlier a co-founder of venture-capital firm Clayton Associates, and more recently has been associated with ConduIT Corporation, the West End-based incubator. In addition to Kirby, Riddle, Creamer and Cook, DisastersNet board members include DisastersNet Executive Vice President and Chief Operating Officer Bryant Tow and ConduIT President Ray Capp. ConduIT has provided varying levels of management and administrative services to DisastersNet, since the venture's launch. Tow (at left), 39, also recently joined DisastersNet management ranks, after serving in senior information and security roles for Unisys Corp., Nortel Networks and Sargon Consulting Group, which Tow co-founded. He also serves on the national board of InfraGard, a national volunteer security association that is closely aligned with the FBI. Tow co-founded the Middle Tennessee chapter of InfraGard. DisastersNet's executive offices are in the Dover Center at Cool Springs. Kirby said the company currently provides "24/7" customer support from its Cool Springs office and intends to establish at least one data-backup and -recovery site in another city. The company outsources some data-management and technology services to DynamicEdge, which has offices in Detroit and Nashville, and to individual consultants. Video production for the company's courseware is done under contract by Music Row Video, and others. Kirby and Riddle explained that nearly seven years ago in the wake of "9/11," the Joint Committee on Accreditation of Hospitals strengthened standards for training and response to crises. Kirby said that data from the Federal Emergency Management Agency (FEMA) indicates that since 1998 there has been a 30 percent rise in incidents confronting hospitals. Consequently, the environment is competitive. Kirby and Riddle said DisastersNet competes with the CommandAware product offered by Los Angeles-based PortBlue Corporation; and, with LiveProcess, based in Verona, N.J.
Kirby said that, in due course, DisastersNet will focus more resources beyond hospitals, to address other groups of emergency "first responders" and "first recipients," who must undergo training and must effectively use emergency-communications and -mobilization systems in the midst of actual crises. Kirby explained that as economic and market conditions improve, DisastersNet may eventually pursue another round of capital. Kirby said the company's sole angel investor has indicated he supports recruiting further investors, as warranted. Kirby became chief executive of DisastersNet, in November. He previously served as an adviser with NMG Advisers, a consulting firm based in Nashville. Kirby said he will remain affiliated with the NMG's Compass Executives management group. 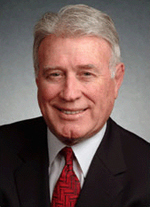 Prior to serving with NMG, Kirby was CEO of Dialogic Communications USA, based in Franklin, and led that company's sale to PlantCML Corporation of Temecula, Calif. Privately held Dialogic had, at sale, about $20 million in annual revenue and roughly 125 employees. Regarding proceeds of the Dialogic sale, Kirby would say only that it sold for "more than one times earnings," which, given the environment of the past few years, he said he views as a good deal for what was then more than 100 Dialogic investors, many of the long-term shareholders. Although Dialogic specializes in emergency notification, Kirby said his former firm and DisastersNet do not compete. Prior to raising seed capital for Dialogic and then becoming the company's chairman and president, Kirby founded and led Essex Corporation, an investment-banking firm. Kirby earned his bachelor's in the Vanderbilt University School of Engineering. Innovator Chris Riddle is much-credentialed in safety: In addition to his healthcare-executive experience, Riddle is a Certified Healthcare Safety Professional (CHSP), a member of the National Fire Protection Association (NFPA), the Metro Emergency Management Agency (MEMA), the American Society of Safety Engineers (ASSE) and the International Association for Healthcare Security & Safety (IAHSS).